Actually, we are FREE OF ALL MAJOR ALLERGINS. We put a lot of thought into selecting our ingredients so you can feel good about what you feed your family. All flavors are 100% natural with no fake colors or flavors and ALL of our flavors are made with organic cane sugar and organic apple juice. Selling Mountain Fresh is easy . . . Quality Food Distributing covers a great deal of the northern Rockies and we can help you get started with your own scoop shop or truck. 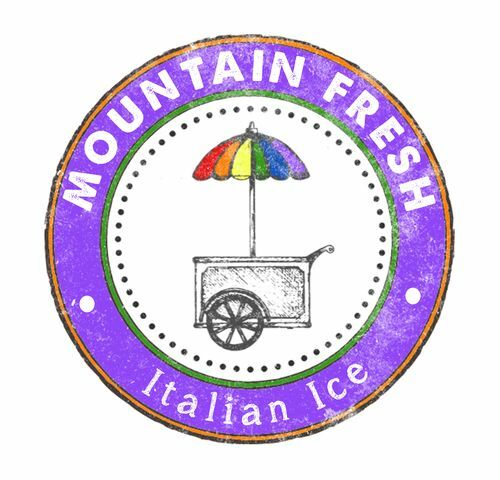 Add Mountain Fresh to your stores' freezer sections in 8oz cups and 3.2oz tubes. It is a fast moving line and a fairly inexpensive way to start your own business. We'll walk you through every step of the way and answer all your questions. We pride ourselves on offering impeccable customer service that matches Mountain Fresh's superior product. 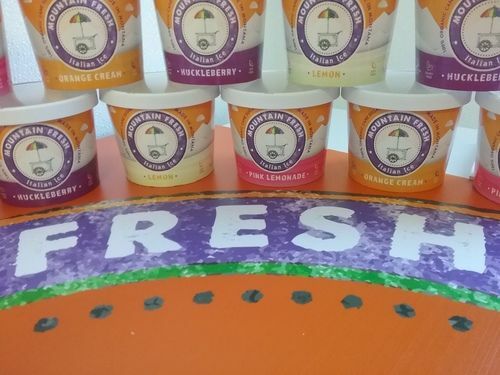 Mountain Fresh is churned in the mountains of Montana using the finest ingredients around. What started as a summer gig for a couple of teachers has grown into the Northern Rockies favorite frozen treat. Opportunities available. But if you call on the weekend, I'll probably call you back!